A journalist deecribed as a “colossal figure” of Welsh literature has died aged 79. Meic Stephens had a life-long association with the Western Mail, and also authored books including The Oxford Companion to the Literature of Wales. Meic, pictured, became a journalist at the Cardiff-based Mail after working as a French teacher following his graduation from university in Aberystwyth, where he edited the university’s magazine and newspaper. He later moved into academia and public service and was literature director of the Arts Council of Wales between 1967 and 1990. 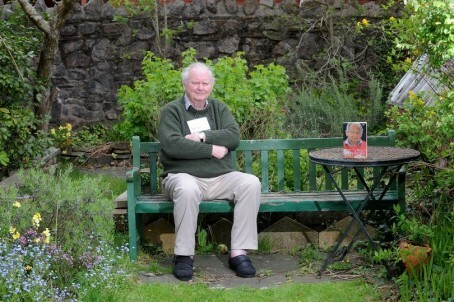 In 1965 Meic founded arts magazine Poetry Wales, which he edited for eight years. He is survived by his wife Ruth, four children – Lowri, Heledd, Brengain and BBC radio DJ Huw Stephens – as well as 11 grandchildren. Paying tribute, a Wales Arts Review spokesman said: “Sad to hear of the death of Meic Stephens, writer, editor, professor, and colossal figure in the last 50 years of Welsh literature. In May this year, Meic was made a Fellow of his old university.